Pact began working in Myanmar in 1997, at a time when very few other international NGOs were doing so. “Myanmar has been called an aid orphan in the past because its per capita assistance is so low,” London-based Myanmar analyst Ashley South told IRIN in a report earlier this year. Between 1990 and 2010, the level of overseas development assistance (ODA) hovered at about US$5 per person a year, according to a 2011 Harvard University report, “Working Through Ambiguity: International NGOs in Myanmar.” This amounted to the lowest per capita rate in the world. “It was a big decision to come and work in Myanmar,” said Fahmid Karim Bhuiya, chief operating officer of Pact Global Microfinance Fund, an international non-government organisation (INGO) which currently operates in 65 countries. “The political scenario was totally different back then and the country was under severe sanctions. It was a time when INGOs were uncertain about whether to come into the country or to remain outside and work for Myanmar from there,” he said. Even today, only 65 INGOs operate in Myanmar and the majority provide humanitarian assistance, states Harvard’s report. Between 1995 and 1997, Pact staff undertook on-the-ground research to determine whether it was viable to set up a microfinance program in a country where none existed. 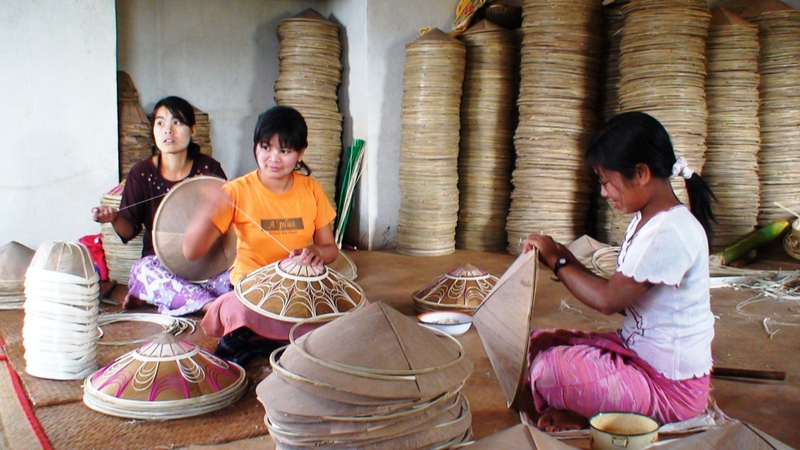 “Our mission was to work out whether it was possible to use microfinance as a tool for poverty alleviation [in Myanmar]. No financial institution offered financial services to the rural poor, so people were forced to borrow from local moneylenders, who charged extremely high interest rates,” Fahmid told The Myanmar Times. Relatives and friends were the only other alternative. Ultimately, Pact decided that it would work directly with communities instead of the government. “That was our criteria for coming in,” Fahmid explained. Fahmid’s initial posting with Pact in Myanmar was for a period of 18 months. “That was 15 years ago,” he told The Myanmar Times with a laugh. After deciding to press ahead, Pact signed a Memorandum of Understanding with the ministries of health and finance and created a partnership with the United Nations Development Program (UNDP) and United Nations Office for Project Services (UNOPS). Fahmid explained that UNDP is invested with a global operational immunity, which enables it to work in any country in the world. The partnership with UNDP was key to Pact being able to provide assistance to Myanmar people. Initially, credit and savings facilities, in addition to group microfinance enterprises were introduced in the central dry zone. “Without gold collateral, moneylenders could charge up to 16 percent interest, which is why people relied on them only in emergency situations, such as a health crisis. The numbers of moneylenders in villages was also low. Nevertheless, many people ended up in a lot of debt,” said Fahmid. As an alternative, Pact created a low interest microfinance program, with an initial interest rate of between 2.5pc and 3pc. Pact continued to grow in Myanmar and within five years it had attracted 200,000 borrowers. Fahmid said Pact strongly believes that income-generating activities require sound health, for farming in particular. This is a logical, though often neglected, aspect of the link between aid and development. In 2004, around the same time that private banking was introduced (though its development was slow to take off) Pact launched a program integrating microfinance and health. “It was unique and grew very quickly,” he said. 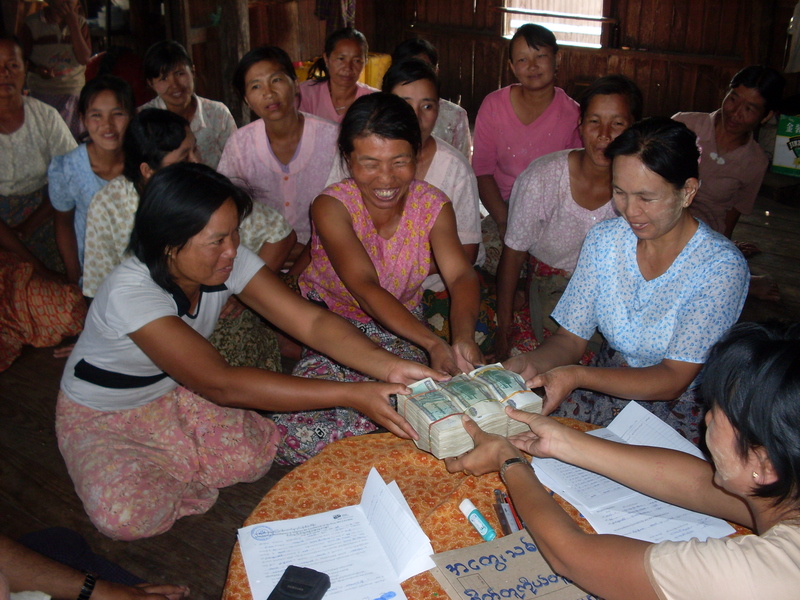 In November 2011, the Myanmar Microfinance Institution Law was passed: a development Pact welcomed because it authorises microfinance services, which means that the international immunity accorded to UNDP is no longer a necessity for Pact and other organisations to operate. The law requires a maximum interest rate of 2pc for microfinance repayments. And unlike many large microfinance institutions, some of which have attracted controversy for imposing high interest rates that result in people taking out loans from multiple sources to repay the original loan, Pact has created a safety net for its borrowers. When Cyclone Nargis struck Myanmar in 2008, 50,000 of Pact’s borrowers lost everything they owned. Pact suspended its microfinance activities for 10 months post-Nargis and instead provided humanitarian assistance, which was coordinated by the UN. Fahmid explained that the decision to suspend microfinance activities was made to uphold Pact’s integrity by avoiding any confusion about whether the interest from microfinance loans was going towards aid grants. He said the decision to give preference to female borrowers was based on several months of loan tracking – which sometimes involved searching for male borrowers at football matches and the like. Nevertheless Pact offers loans to men if a household has no female members over the age of 18. All borrowers must display a willingness to undertake economic activities. Fahmid believes the number of both local and international NGOs in Myanmar has been increasing since elections were held in 2010. Pact’s biggest operational challenges in Myanmar are lack of infrastructure, such as transport, communication services and electricity shortages. Fahmid’s biggest concern is the many people in remote areas who remain unserved. “I hope that in the future, when new INGOs enter Myanmar, they will not prioritise operational ease but the need for assistance,” he said. Pact already has 2200 local staff and plans to open another 30 microfinance branches. It will also increase the number of townships it operates in from 25 to 50 within three years.